This weekend we have our first ever visit from Cinderford, a club promoted last season like ourselves from Level 4 rugby. They’ve had a slightly better start to their term in National One where they sit just three points ahead of us in the table. Due to the competitiveness of National One, those three points also mean they sit in Eighth while we languish way down in twelfth! Our first meeting away at theirs was also a similar close but distant story. We managed to get a bonus point, scoring five tries and 30 points, but Cinderford scored six tries and due to our indiscipline kept us from a losing bonus point by scoring 41. It was also the end of a remarkable 24 games undefeated for the boys from the CorpAcq stadium. Gallagher Premiership Rugby club Sale Sharks and National One side Sale FC Rugby have announced an initiative to work together more closely than ever before. The venture entails support from the senior club, on and off the pitch, with Sale FC Rugby rising to Championship status part of the long-term ambition. Since the advent of professionalism at Rugby Union clubs, the Sharks and the FC have been connected for over twenty five years. Indeed, the Sharks played at the iconic venue of Heywood Road until 2003.Sale FC Rugby have the history and Sale Sharks the professionalism. They have now agreed to work together more closely than ever before.This latest move allows the two clubs to retain their own identities. 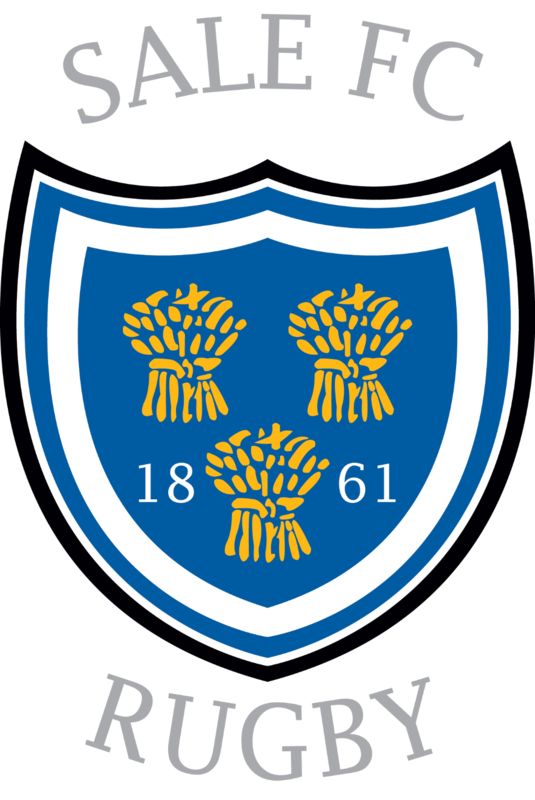 They have devised a philosophy that will assist Sale FC Rugby in their ambition to play Championship Rugby whilst avoiding financial difficulties, and concurrently develop Sale Sharks into the strongest rugby franchise in the country.Sale Sharks will continue to invest into its own Academy and also into Sale FC Rugby, making all three teams stronger in their respective competitions. Whilst both organisations will continue to be separate entities, operating independently in accordance with their status within the game, their rugby departments will co-operate fully. Corpacq, Morson and Sale Sharks will invest sufficiently and liaise with Sale FC Rugby’s Executives to enable Sale FC Rugby to become a sustainable ‘break even’ business, thus securing the club for years to come. Sale FC Rugby will benefit from the loan of senior and talented young players on a wider level of availability. Sale Sharks, who have players gaining on-field experience at several clubs, will be able to keep more players at a higher matchday fitness level.The ‘sharing’ of players will strengthen all teams and create a development pathway which all parties believe will be ‘second to none’.Furthermore, Sale FC Rugby will have access to the Sharks’ coaches, dietitians, kicking and scrum coaching expertise and rehabilitation staff. The Club is open this weekend for the Six Nations. The bar will be open from 1:30pm so you can have a couple of drinks prior to the big game and some hot food. This Sunday the Colts are playing top of the league Chester at Heywood road with a KO time of 3pm. Hopefully the 140 minis and juniors tourists coming back from South Shields will be able to cheer the lads on to victory. The bar will be open prior to KO, so if you’re hungry for rugby, come and watch the future of Sale FC running out onto Heywood Road.